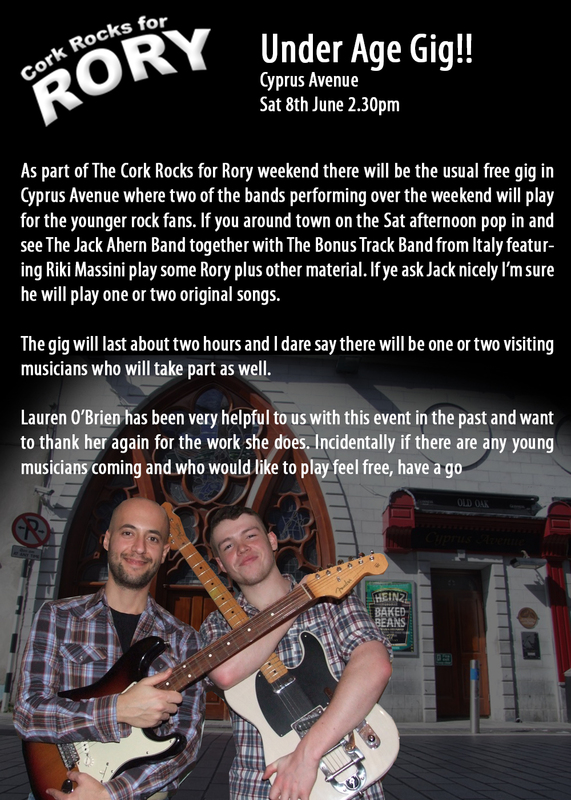 As part of The Cork Rocks for Rory weekend there will be the usual free gig in Cyprus Avenue where two of the bands performing over the weekend will play for the younger rock fans. If you around town on the Sat afternoon pop in and see The Jack Ahern Band together with The Bonus Track Band from Italy featuring Riki Massini play some Rory plus other material. If ye ask Jack nicely I’m sure he will play one or two original songs. The gig will last about two hours and I dare say there will be one or two visiting musicians who will take part as well.